It’s generally not easy to sue a deceased person’s estate in California. In most cases, claimants must file a creditor’s claim before proceeding with a lawsuit in the Superior Court, which may first require bringing a petition to open up probate of the decedent’s estate. Claimants must move quickly given the one-year statute of limitations under California Code of Civil Procedure section 366.2. 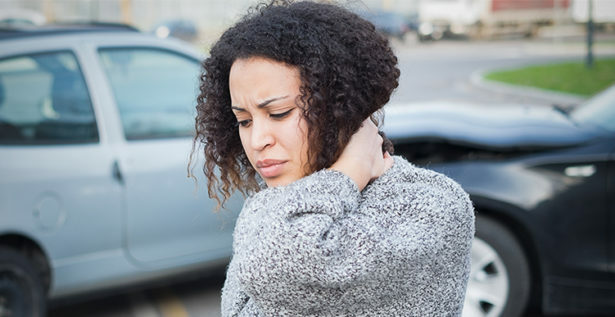 In traffic accident situations, however, the claimant has a streamlined procedural path if he or she limits the claim to the auto insurance coverage held by the decedent. In such a case, under California Probate Code sections 550-555, the claimant effectively sues the insurance company, with the decedent’s estate only being a nominal defendant. A recent appellate case from the Third District Court of Appeal, Meleski v. Estate of Albert Holden (2018) 29 Cal.App.5th 616, strengthens the position of California accident victims by allowing them to obtain recoveries in excess of policy limits if the insurance carrier refuses to accept a settlement offer and the claimant then obtains a court judgment in excess of the offer. The decision should incentivize carriers to accept policy limits settlement offers. What happened to Amanda Meleski? Amanda Meleski was injured when Albert Hotlen ran a red light and collided with her vehicle. Hotlen passed away before Meleski could bring suit. When she did, she discovered that the estate’s only asset was a $100,000 Allstate Insurance Company policy. Using the streamlined procedure available in such situations, Meleski brought a claim under Probate Code sections 550-555 to recover only from Allstate. She then made an offer to Allstate to settle under California Code of Civil Procedure section 998 for $99,999, just one dollar below the policy limits. Allstate rejected the offer and the parties went to trial in Placer County Superior Court, where the jury awarded Meleski $180,613.86. Because Allstate rejected her offer and she beat it at trial, she expected to recover her post-offer costs of suit, such as expert witness fees, court reporting fees, and jury fees. Meleski thus sought $66,017.08 on top of the $100,000 policy limit. Allstate responded with two arguments: (1) it was not a party within the meaning of section 998, and (2) costs are not recoverable because of the Probate Code’s cap on damages at the policy limits. The trial judge agreed with Allstate, so Meleski appealed. The Court of Appeal, based in Sacramento, sided with Meleski and overturned the lower court on both issues. First, the court held that while the estate was technically the named defendant, it was really Allstate who was the responsible party. The court reasoned that Allstate was the party served, judgment would only affect Allstate and not the estate, the personal representative of the estate was not joined as a party, and perhaps most importantly, it was Allstate who controlled every aspect of the litigation and who rejected Meleski’s settlement offer. Since the purpose of Code of Civil Procedure section 998 is to encourage settlement by punishing the refusal of a reasonable settlement offer, it would be appropriate to subject Allstate to added liability for its refusal of Meleski’s offer. As to the second argument, the Court pointed out that while California Probate Code section 554 limits recoverable damages to policy limits, it contains no restriction whatsoever as to the recovery of costs in excess of policy limits. The court stated that costs are different from damages and therefore are not limited by the pertinent Probate Code provisions. Further, California Code of Civil Procedure section 1032 states that costs are recoverable by a prevailing party “as a matter of right” unless “otherwise expressly provided by statute.” Because the court could find no statutory prohibition against the recovery of costs under Probate Code sections 550-555, Allstate was required to reimburse Meleski for her post-offer costs. In Meleski v. Estate of Albert Hotlen, the Court of Appeal clarified the law and put insurance companies on notice that they reject reasonable settlement offers at their own peril. When negotiating a settlement with an insurance company, California plaintiffs should bring up this case to highlight to the company its downside risk in turning down an offer. Creative legal arguments cannot change the fact that insurance companies are a party for purposes of section 998 and that the plaintiff may recover hefty costs after judgment, even if total recovery greatly exceeds the limits of the insurance policy.